Maybe you've been too busy, maybe you just couldn't hack it alonethe Covenant gave you too good of a fight – whatever the excuse, it's time to finally commit to completing Halo 3: ODST on Legendary. Co-Optimus.com is bringing you Co-op Night, and this weekend is all about Legendary! Connect with some friends online and earn achievement points to improve your Waypoint Career milestone level. We'll be focusing on the ODST campaign with the difficulty cranked to legendary! To participate in the ODST Co-Op Night you can add one of our cooptimus ODST (link) gamertags or cooptimus ODST2 (link) to your friends list and utilize the friends of friends feature to invite other gamers to your Halo 3: ODST session. The Co-Optimus staff will also be sending out invites throughout the night getting groups together for some good ol fashioned Covenant slaying! 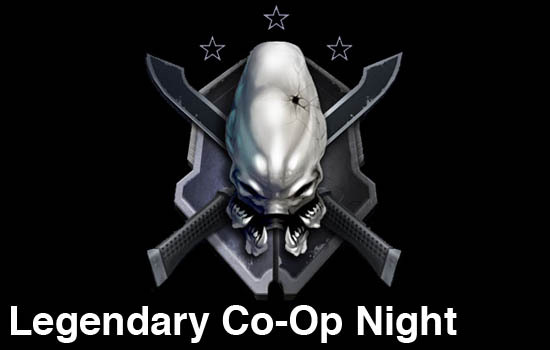 Feel free to use our ODST meetup thread as well to meet other co-op gamers! Everything kicks off this Friday at 8PM EST on Xbox Live and Halo Waypoint. See you then! Here's the Facebook page if you'd like to confirm!